Anyone else tired of the doom-saying? I mean, it isn’t the first time civilisation has gone up in flames. I’m sure some of what I am going to say will seem rather absurd. But take some time to let it all sink in. I had years to get my head around it. If the internet is to be believed (which it isn’t), the pope (and the queen) said recently that this might be our last Christmas. Oh, come on! Not to mention I haven’t seen a single video of them actually saying these things. The Conspiracy theorists never cease to amuse though. I can’t believe I used to believe a word these charlatans said. To be honest, You make it real when you start getting so worked up about it. So After Playing Fallout 4 (the picture is from there) I had a realisation. they are controlling the future with fiction. People get so sucked into these worlds and give them life. they don’t predict, they decide. They choose the future. Games, Books, Moves, Television. It makes no difference. I’m sure everyone has noticed that things are getting a little bit crazy of late. Global Warming, Terrorism, Threat of nuclear war glooming over us. And do you know what? People get so worked up about it. As if all that we have worked for will be lost. People have gotten it into their heads that what we have accomplished is something to be proud of. A pinnacle of technological sophistication. And we are on the brink of losing all that we have strived for. or so people think. Well, we live in the ruins of a dead civilisation already. We have been conditioned to not see it. After watching a video of someone going round google earth pointing all the ruins out, well. It changes things a little. And I get tired of people going on about depleting the planet’s resources. Infinite energy isn’t just a fantasy. Nor is it pseudo-scientific nonsense. Outside of the current scope of science? Hell yeah. It shatters all of their preconceptions about the universe. talk of the sun dying out, of the universe growing cold. They don’t have the slightest inkling about any of it. no better than those they preceded.The same thing that makes the planets turn, the clouds move, the seas roar. We can harness it, We used to. An energy that permeates everything. Call it what you will: Void, Zero Point energy, Dark energy, Aether. It doesn’t make any difference. and if energy and matter are interchangeable… well. Are you going to argue with the man who almost single-handedly invented the modern age? Not only that, but almost all of the technology we have developed is not necessary. Earth’s magnetic field, can be harnessed. From memory, that was something we were experimenting with harnessing long ago. It went horribly wrong, I think. Shattered the entire continent. Sent us into an ice age. Or maybe it was something else (we were busy beavers). My mind is spinning with so many thoughts. There was at least 3 main civilisations Lemuria, Atlantis, and one other.). I can’t remember who did what, or when. It all is blurring together. There was also something along the lines of a nuclear war, I believe. The Indian Vedas describe terrible, terrible weapons. that would vaporise an entire city. Turn it to Glass and ash. And the strangest thing? People have found radioactive ruins of ancient cities in india! You get the idea. I still feel a grudge towards the (I was Atlantean, I think) Lemurians, though. Not sure why. Backstabbing asses. Oh, We’re so much better than you. Stupid Smug bastards. Wow. Where is that coming from? I’m really confused. Not only that, But Dr Robert Oppenheimer, one of the main scientists who worked on the Manhattan project, Believed the same thing. The Famous quote, taken straight from the Vedic literature. Now I am become death, Destroyer of worlds. I don’t have time to go into detail. look into it if you want. I will say this: Quantum Physics was born from those who read the Vedic Texts. It’s just that people have been conditioned to not see it. did you know that you can hypnotise someone to literally see through someone else? and read something on their back? If anything, our level of advancement is paltry compared to what came before. History has been tampered with to a degree that is almost absurd. It isn’t the year we think it is. what that means for the Mayan prophecy I don’t know. but it isn’t 2016 yet. It might actually be 1016. So the millennium was just that. 1000 years hence. The Gregorian calender, according to the Videos I’ve been watching, slipped 1000 years under our noses. So then, why? Does that mean that Rome existed only a few short hundred years ago? I could write forever about it. I mean, things still essentially run on steam power! do you really think there isn’t a better way of doing it? 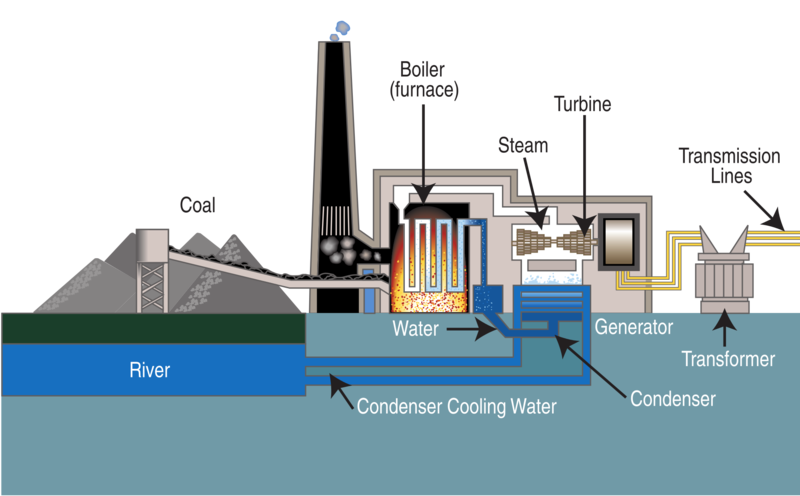 Just about every method of generating power seems to involve boiling water. Nuclear power is the same. Oh, so high Tech. I want to laugh. Steam? We can do better. The underlying assumptions of Science are of Probability, chance, etc. It would take me a long time to explain (I’ve read many things that begin to mirror one another. So I will just say this: To me, they are like children playing with forces they refuse to understand because they are far too interested in their stubborn assertion that only physical matter exists, aka Materialism. I Found some interesting papers on it. And many others. like this one. It’s like when you tell someone the right answer but they insist on still trying to figure it out, because they don’t like you. Finally, people are starting to notice the massive screw up. also, something about a generator that runs at 250% efficiency. in other words, it makes more power than it uses. and that power can be fed back in… you get the idea. I mean, imagine if all that energy wasn’t lost as heat? It’s hard for me to understand that you think that is normal. Permanence is something I have always strived for. Most things are swept away by time. And I’m tired of watching it all go round and round. Up. Down. All swept away. So Our Pinnacle Of Understanding is based on nothing more than stubborn pride. Arrogance. Well, Did it ever occur to you that this isn’t the highest man has reached? Well? It certainly isn’t. And the worst part? That history is not even acknowledged. It is considered, along with many other things I know to be true to be: ‘Quackery’, Nonsense, ‘Pseudo-science’, Myth. I mean, is the idea that crystals can heal people so absurd? it is no different to an exchange of electrons in chemical reactions. just on a different scale. with electromagnetic fields instead of atoms. and they each are brought into resonance with one another.. Everything has its own Vibration. That’s my understanding of it. So then, What’s the big fuss about? An end is just another word for a beginning. And sometimes, in order to create, you must destroy. they are inexorably linked. But It makes me sad. Really sad. If I dwell on the idea too long, I get quite upset. I even dig my fingernails into my palms. Making little marks. My hands shake. you get the idea. And I have memories that If I told to the majority of people, they would dismiss me as crazy. I wonder if I should see one of those regression hypnotists. But I worry that I can’t be hypnotised. If anyone couldn’t, it would be me. I don’t lower my guard easily. I’m not some special wonder person, like the new-Agers would have you believe. I’m just old, and tired. Sometimes that means I struggle to deal with the ‘real’ world. And why go and see it all? The world does not interest me in the slightest. I would be glad, In a way. To see it all go up in flames. The Status Quo. A world where people like myself are considered freaks, A nuisance. I’m tired of all this. So I might take a break from all this for a while. my mind is not cooperating at the minute. A very interesting read. Thank you. Enjoyed the Google Earth video, too. Some interesting synchronicities with my follow-up post (written but not published yet). You’ll see what I mean if you read it. And Now you have me curious. Humph! I might write a post about why people can’t seem to get “Magic” to work like our ancestors did. You might find it interesting. Yes, I’d be very interested in that.